Halloween is just around the corner. 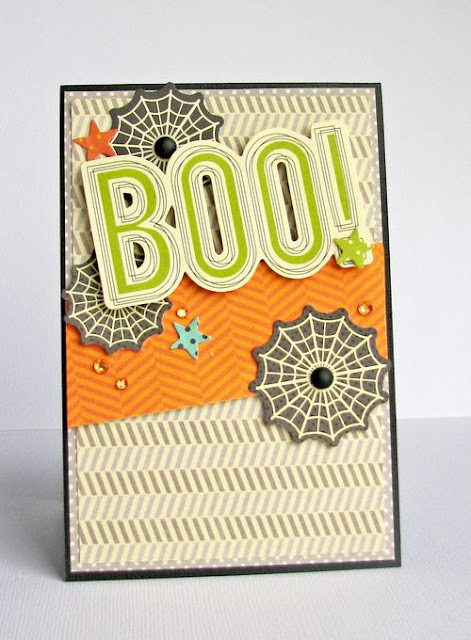 Nicole Nowosad mixes Jillibean Soup non Halloween papers with a few die-cuts for a quick and easy Halloween themed card. Boo!